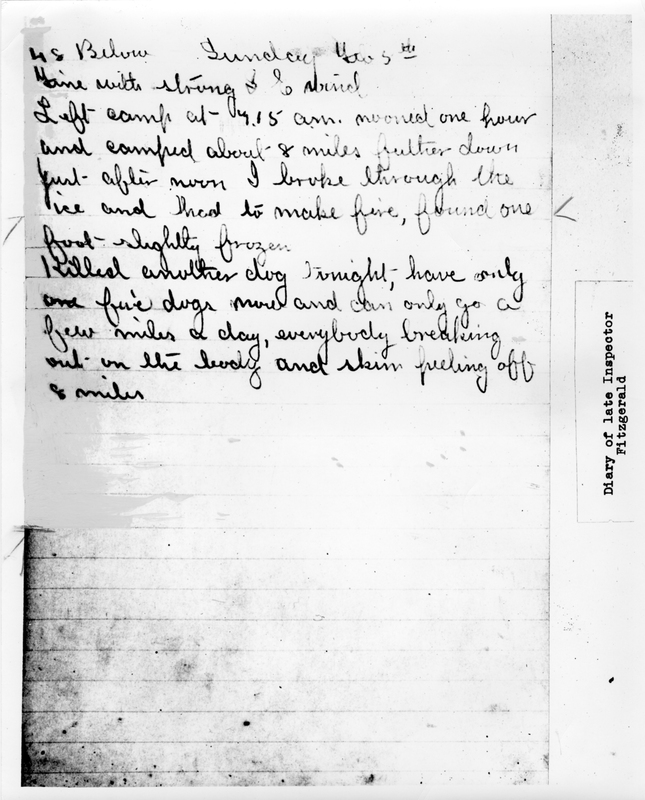 Item is a photograph of a page from Inspector Francis J. Fitzgerald's diary. The diary entry shown was written while Fitzgerald's patrol was traveling between McPherson, Northwest Territories and Dawson City, Yukon. The entry mentions that they had to eat one of their dogs. Some parts of the photograph are filled in the with off-white paint. A piece of translucent paper and a sticky note are attached to the photograph. A typed cutline describing the photograph is attached to the back.